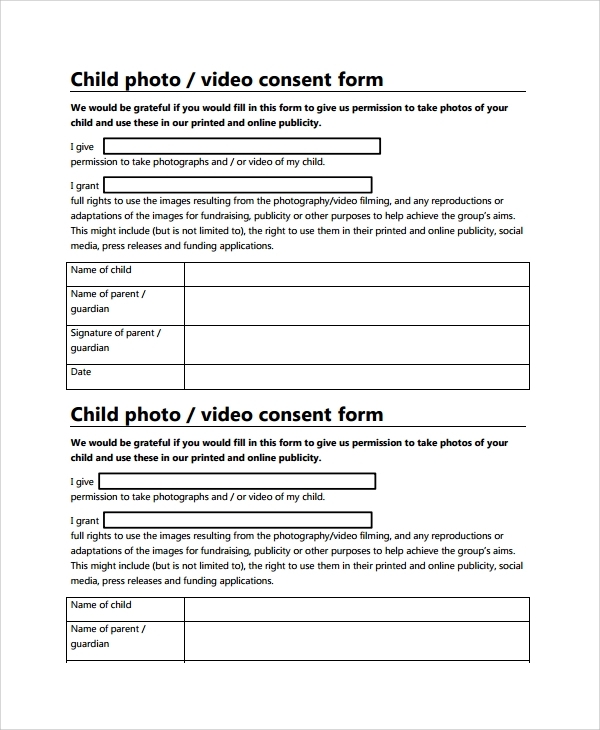 Photo Consent Form Template is a readymade writing piece to take permission of any child’s parents for using his/her photo/video for commercial purpose. It contains all necessary copywriting stuff that makes it print-ready, paper instant use. If you wish to perform modification in the copywriting stuff or input boxes then edit it in MS-Word. 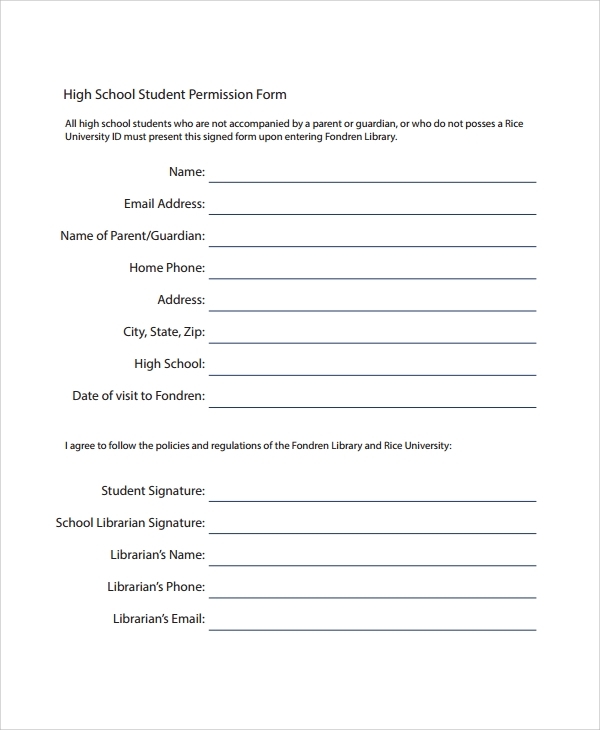 Parental Permission Form Template can be used by universities/college/institutes to get a written authorization from parents for an activity. 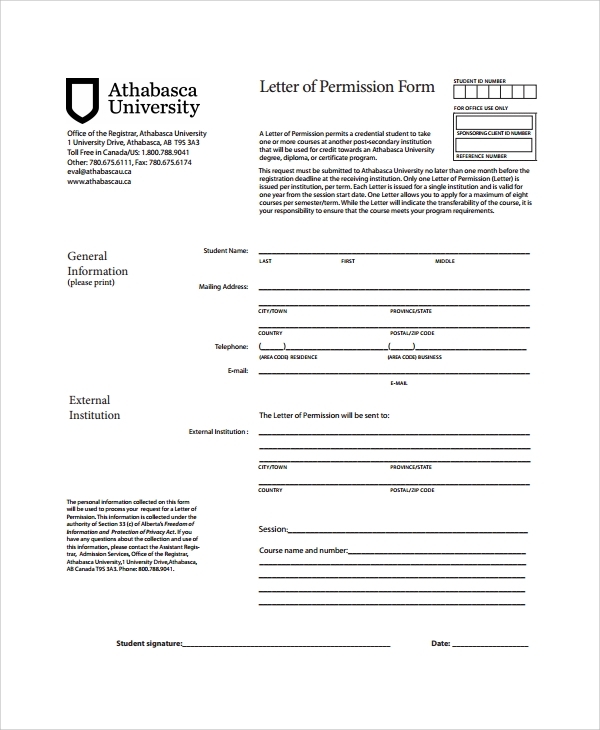 Add college/university logo for making professional consent forms. This template allows input filling via browser and is a print-ready paper material. You can use MS-word file for terms and logo customization. 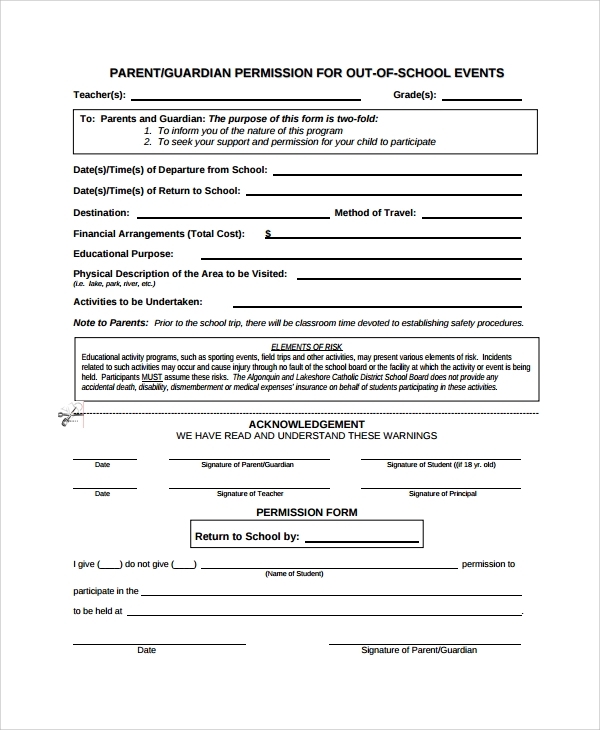 School Permission Form Template is a friendly design that allows easy customization. 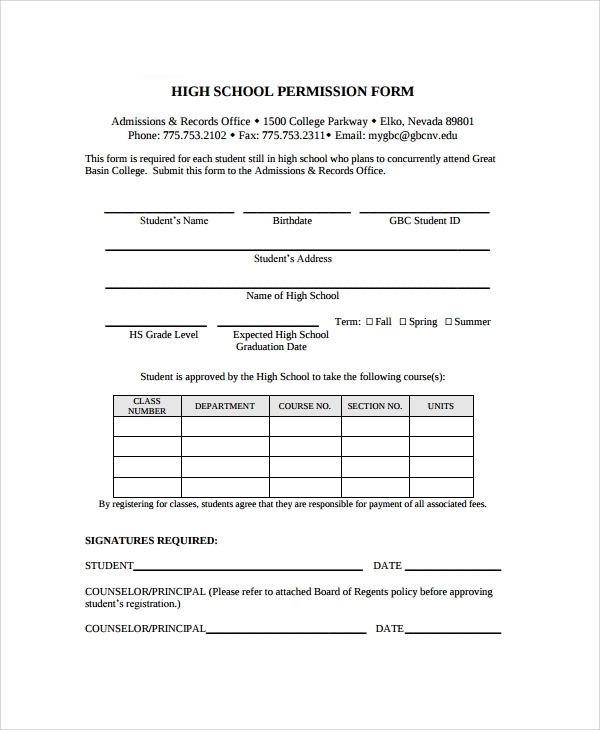 Add college logo, address, email address and other contact details and make it an official paper. 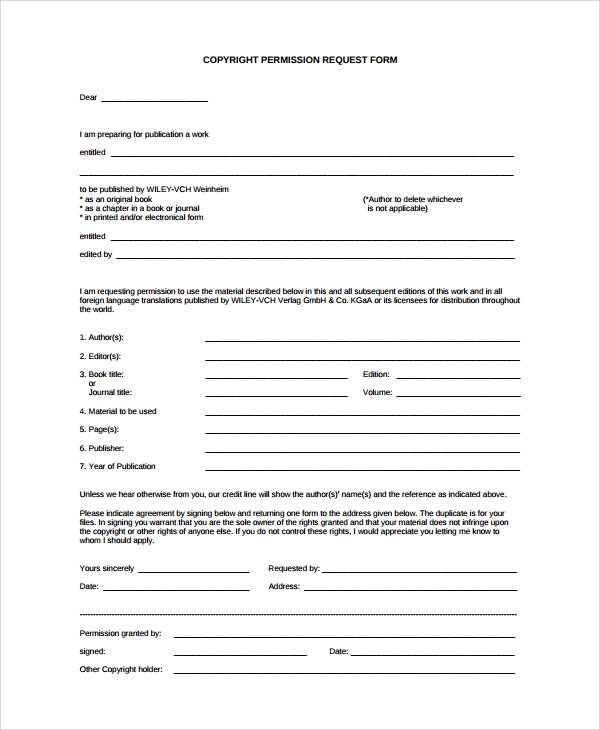 The template can be used for various internal purposes to sign terms between college and students. Add your terms and enrollment policy below the form. 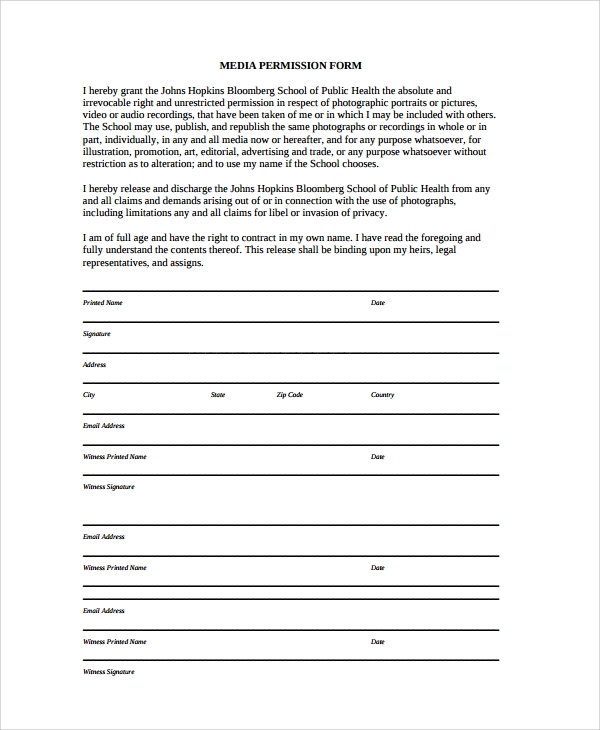 If you are planning to make a deal with an individual/group to use their photograph for media promotions then Media Permission Form Template is the best option available. Take a print or customize the template to clarify the norms and modify the input fields. 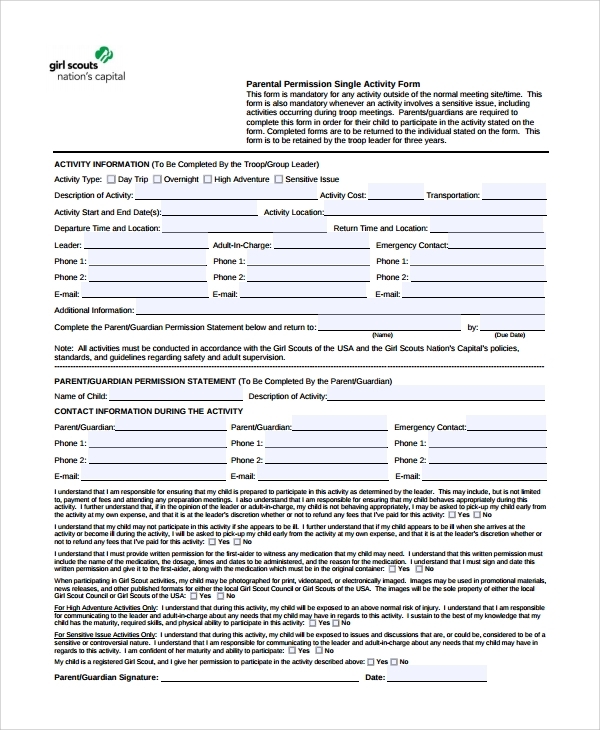 This informed consent form allows logo integration. Also, it contains input fields for witness signatures. 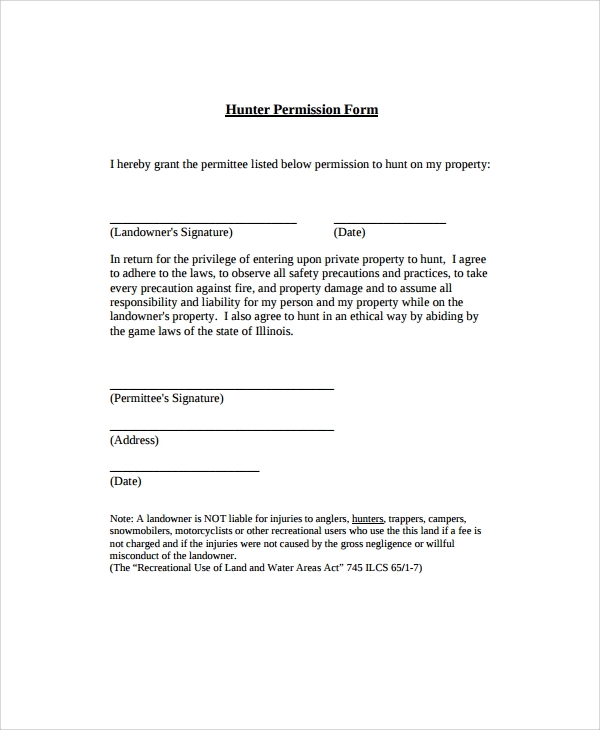 Download our Consent Form Template and use it for free. Our templates are designed using MS-Word tool that is available worldwide. 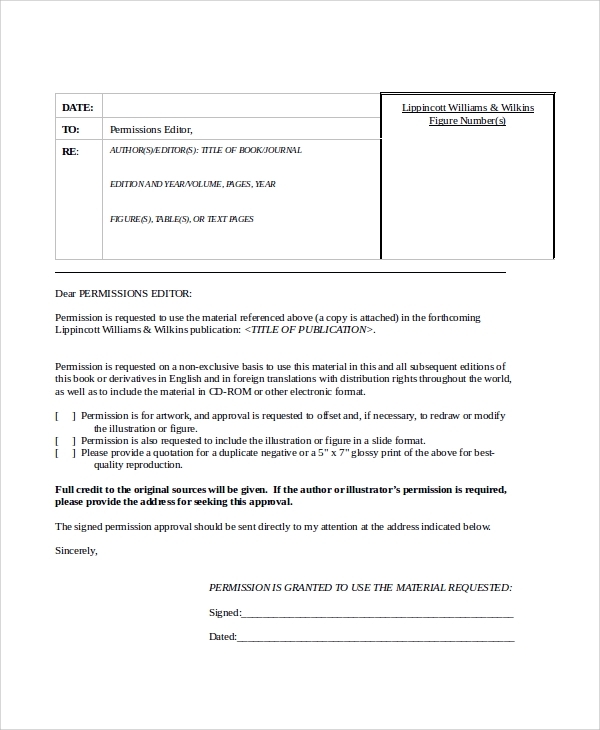 You can customize the agreement paper easily without any expertise technical knowledge.